Bite-size or snack-size content refers to content that is short, offers value, and can be easily digested. The bite-size content has gained momentum with the burgeoning use of social media platforms as well as increased Internet consumption via mobile devices. For many Internet users, it’s far easier and convenient to interact with a short Facebook post, tweet, gif or meme on Pinterest rather than read a lengthy article. Therefore, creating bite-size and snack-able content has become vital for the success of any content marketing campaign. In the age of information overload, the consumer is getting constantly attracted towards content digest and snippets for the sake of convenience. Here’s why it works for them. The very nature of bite-size content pieces, e.g. infographics or memes is that they take away the stress off the learning process from the consumer, especially when it’s compared to the efforts required to reading, analyzing and processing the information in a lengthy article. Right off the bat, the simplicity of message encourages consumers to engage with the content more proactively, which is the key to its success. Catching the attention of the modern consumer is one of the hardest things these days as their attention span is decreasing considerably. According to Statistic Brain, the average attention span of the modern web user came down to 8.25 seconds in 2015 from 12 seconds in 2016. Therefore, it’s becoming increasingly difficult for marketers to capture the attention of modern Internet consumers for a longer period of time. The bite-size content perfectly fits the short attention of most consumers, making it easy for them to engage with. 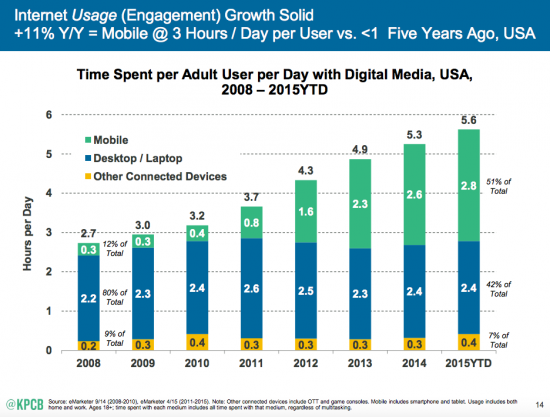 The modern Internet user tends to spend a lot of time on their handheld devices, particularly smartphones, to consume content. The limited real estate on smartphones makes it challenging and, at times, discouraging, for the consumer to engage with lengthy content. However, the limited space on a smartphone doesn’t pose any disadvantage to the user while engaging with bite-size content. Many modern marketers have now learned to take advantage of this content engagement dynamics, and they are creating snackable content for their target audience. Bite-size content is consumed by people mostly when they are on the move, and content marketers must consider this aspect while creating short, valuable and snackable content. 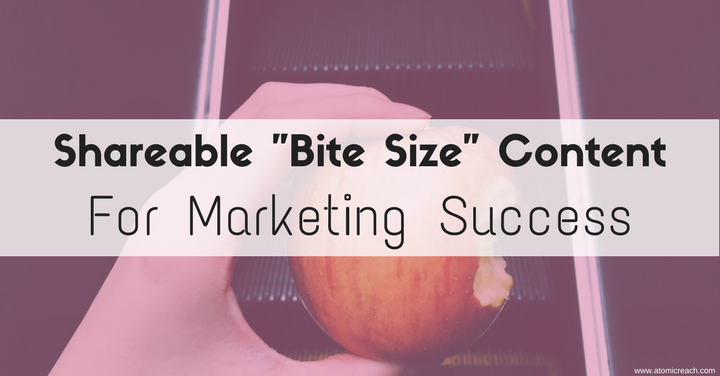 Here’s how to make your bite-size content sweet, playful and uplifting for your consumers. Interesting Infographics: As a potential marketing tool, infographics owe its popularity to its sheer simplicity in conveying complex information in simple images by leveraging the visualization of data. There are a number of scientific reasons why human brain processes visuals better than text, which explain the growing popularity of infographics in the past couple of years. Consider investing in high quality and visually interactive infographics and sharing them with your audiences across Facebook and Pinterest. Make them embeddable and allow your blog readers to reshare them with their followers. Looking to get started with infographics? Start here. Short Videos: Videos are already playing a major role in driving marketing success for many brands. According to Cisco, consumer internet video traffic will account for 80% of all consumer Internet traffic globally by 2019. However, rather than creating and uploading lengthier videos to YouTube or Vimeo, content marketers should focus more on creating short and snackable videos and share them on Instagram, Facebook, Twitter, and Vine to make the most of those platforms. Oftentimes, a 15-seconds Instagram video can spark more engagement among your audience than a 5-minutes YouTube video. Check out these awesome video marketing tools to join the video marketing movement. Compelling Images: Nothing entices social media users quite like photos and images. The huge success of Facebook, Instagram, and Pinterest stands testimony to this fact. However, as per the content marketing best practices, engagement comes prior to selling on social media. Therefore, you must focus on creating and sharing unique, visually pleasing and interactive images on Facebook, Instagram, and Pinterest. Boticca, an online boutique, found that Pinterest was driving 10% of their sales. That’s the power of incredibly powerful images. Inspiring Quotes: Everybody needs some uplifting message that makes their day start off on an inspiring note. With tools such as Inspirably, ShareAsImage, QuotesCover, and Somee-Cards, you can create and share insightful quotes with your audience and make their day even better. It also helps you establish your brand authority. Snackable Blog Posts: Just because visuals are more effective across social media platforms doesn’t mean that you should quit writing blog posts. However, you still can make your blog content snackable by making it scannable and visually attractive by writing shorter paragraphs. Here’s a comprehensive guide on how to make your blog posts more engaging. The roaring success of sites like Tumblr and Buzzfeed speaks volumes of the bite-sized content. In fact, to your time-strapped audience, the essence is way more important than the length of your message. As the Internet is rife with gifs and short videos, it’s never too late to get on the bandwagon and empower your marketing campaigns.